The Hitchcock community is located in the coastal beach town of Santa Barbara, California. Hitchcock is ideally located above the 101 freeway with a short distance to the downtown area and the beach. This is a great area to find smaller single family homes. 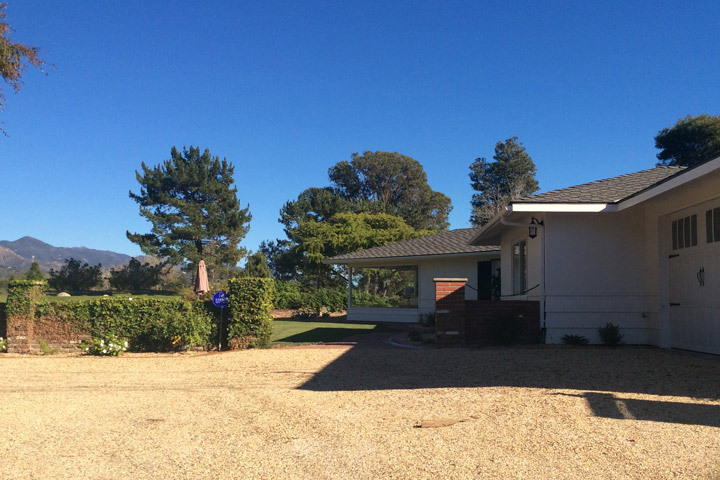 Select properties in this area will be located around the Santa Barbara Municipal golf course as pictured above with nice golf course and mountain views. There are also popular condo communities like Franciscan Villas that offer townhouse living with resort style amenities. Below are the current Hitchcock homes for sale and for lease in Santa Barbara. Please contact us at 888-990-7111 with questions regarding this community and any of the properties listed here. Ronald L. Wolfe & Assoc. Inc. Listing information last updated on April 22nd, 2019 at 12:00am PDT.